Thinking about shunning the hustle and bustle of city life to live off the land—if only for a few days? In central Texas, visitors can experience ranch life, learn about the birth of the Republic of Texas, and see firsthand why they say everything is bigger in Texas. Here are the five best ways to live like a true Texas cowboy while learning about the state’s unique history and sites. Independence Hall, considered the birthplace of Texas. 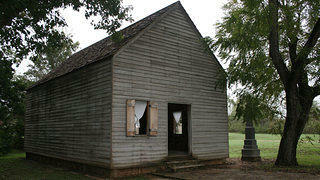 Learn about the birth of Texas at the Washington-on-the-Brazos State Historic Site. One of the most overlooked historic sites in the state of Texas, the Washington-on-the-Brazos State Historic Site is home to the Independence Hall, considered the birthplace of Texas. It’s where delegates met in March 1836 to declare their independence from Mexico and form a new Republic. 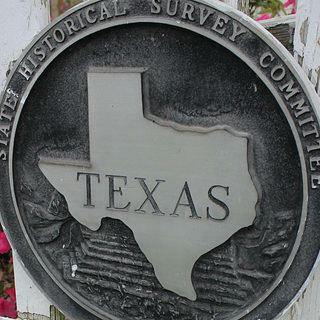 It would last for only a decade, from 1836 to 1846, at which point Texas became the 28th state of the United States. The site, which is free to the public, also houses the State of the Republic Museum, which collects and preserves the culture and history of the Texas Republic, and Barrington Living History Farm, where visitors can see and experience what it was like to farm in the 1800s. The last president of the Republic of Texas, Anson Jones, farmed in the area, and the Barrington farm recreates the original farmstead. The family home is original while the outbuildings have been reconstructed based on journal entries and drawings that Jones produced. 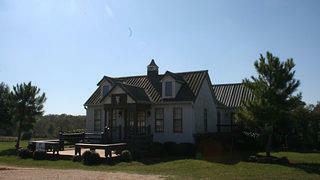 Visitors to the farm can watch as interpreters drive oxen, harvest crops, and create handmade games. Visitors are encouraged to ask questions or join in the activities. One of eight restored historic homes at Texas Ranch Life. Rope some cattle at Texas Ranch Life. Participate in the authentic cowboy way of life at this 1,800-acre cattle ranch located in Chappell Hill. Featuring bison, quarter horses, and Texas Longhorns, visitors to this spacious property can choose from a variety of ranch activities to take part in like horse riding, cattle driving, fishing, and roping lessons. Owners John and Taunia Elick have preserved and restored eight historic homes dating back to the 1850s and converted them to guest accommodations. Each of the homes, which range in various sizes, have the original paint and stenciling, antiques, and unique Texas knickknacks. Walk through the oldest cotton gin in the country at the Texas Cotton Gin Museum. Home to Burton Farmers Gin, the oldest operating cotton gin in the country and listed on National Register of Historic Places, this museum is dedicated to showcasing the history of the machine. Guests to the museum can take a tour to learn about the history of cotton farming, the creation of the cotton gin to separate the seed from the cotton fiber, and little-known facts about the fiber. For example, did you know that U.S. dollar bills are made up of 75 percent cotton and 25 percent linen? Take a tour through historic Brenham. When in Brenham, visit the renovated Simon Theatre, originally opened in 1925 for vaudeville and later movies and community events, or the Giddings Wilkin House Museum. Completed in 1843, the Giddings Wilkin House Museum, which is a Texas Historical Landmark, was built by one of Washington County’s earliest settlers. It was the second home to be built in Brenham and now holds the distinction of being the oldest standing structure in town. Public tours are offered from 10 a.m. to 5 p.m. every Saturday. 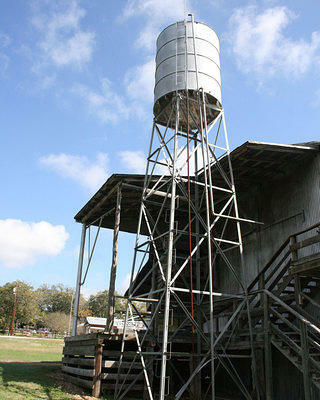 Barrington Living History Farm in Brenham, Texas. Cash a check at Texas’ oldest bank in its original location. 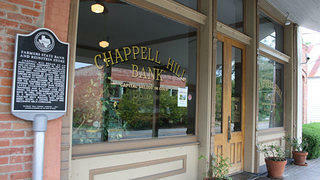 Located along Main Street in the unincorporated community of Chappell Hill, this historic bank first opened in 1907. Residents are proud of the fact that this bank has never closed, even when ordered to do so during the Great Depression. The bank made news a few years ago when it started promoting its policy allowing customers to bring in concealed handguns.